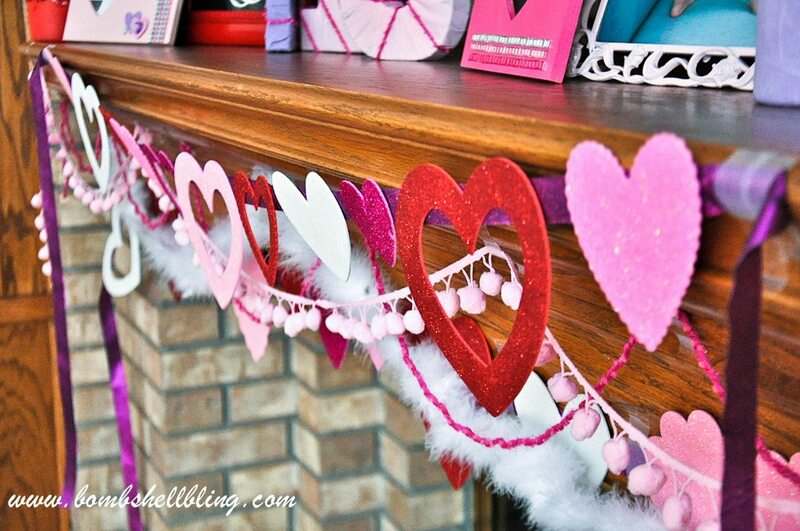 I am so excited to be back today sharing another piece of my Valentine’s Day Holiday Mantel with you, as well as participating in the awesome Lightning-Crafts series that I do every couple of months with Carolina from 30 Minute Crafts and Angie from The Country Chic Cottage. 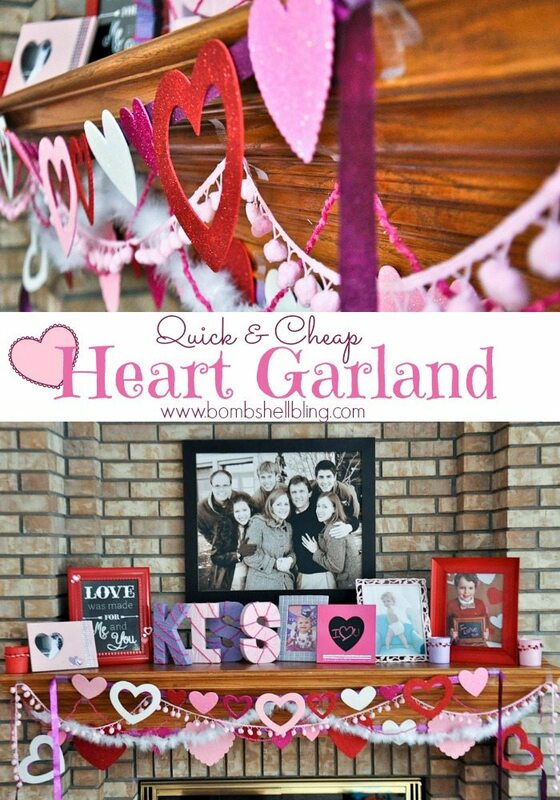 I absolutely love the idea of a craft you can complete in 15 minutes flat, and, believe it or not, this heart garland IS one of them! 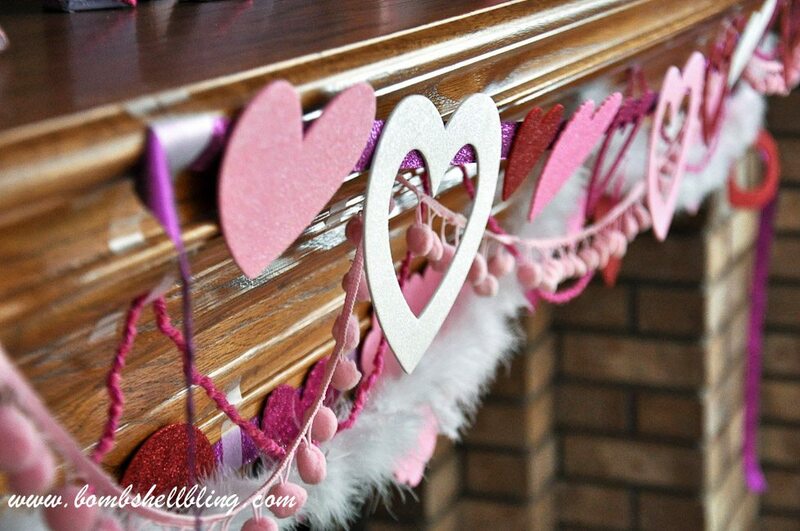 For this heart garland I used glittery foam hearts in a variety of sizes and glitter ribbon from JoAnn’s Fabrics, along with my trust hot glue gun. That is IT. Seriously. Measure your mantel and then lay out strips of the glitter ribbon that are the appropriate length. 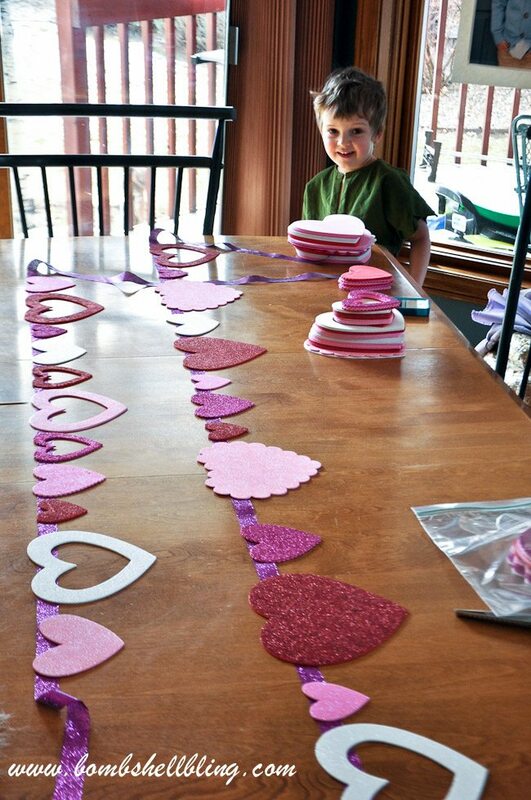 Arrange the hearts in a a pleasing manner and hot glue them to the ribbon. DONE! SUPER simple, right?! You could even just cut hearts out of felt, paper, or other fabric if you really wanted to, but that would take way longer, and I’m lazy, so I stick to the foam ones. I love craft foam shapes. I really, really do. 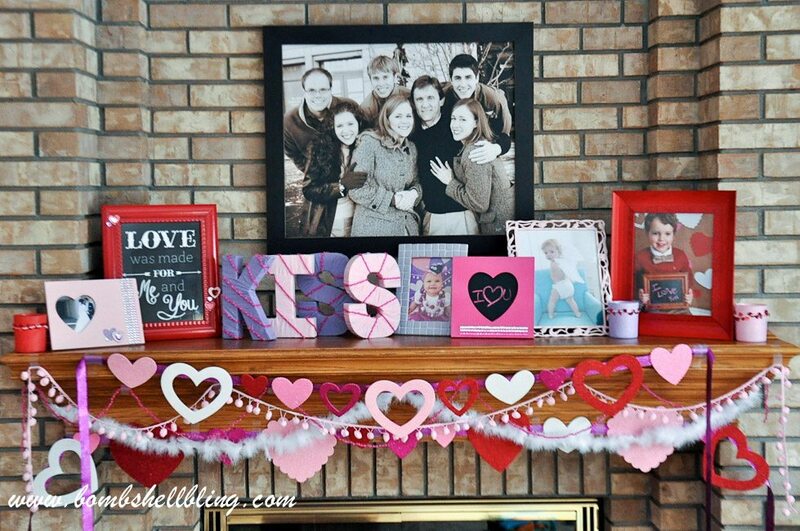 Be sure to check out the post with the overview of my creation of this Valentine’s Day Holiday Mantel, as well as the post on how I created the Sweet & Sparkly Valentine’s Day Frames. 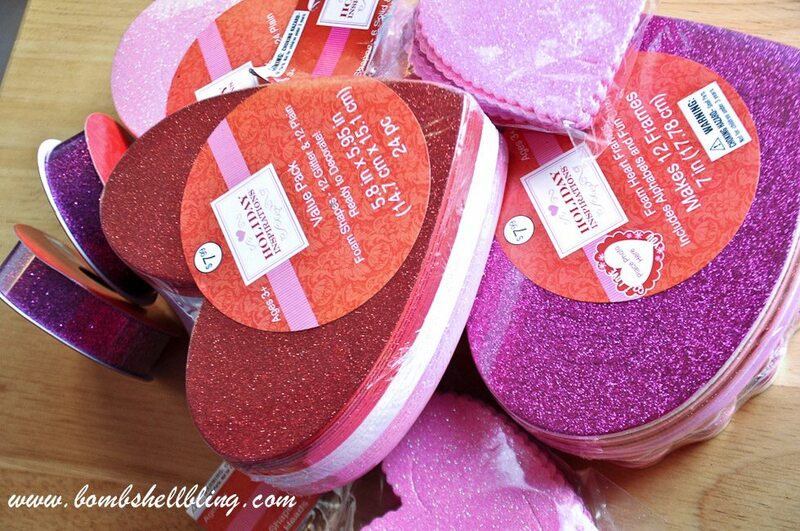 Be sure to pop on over the the Craft-Lightning Series for more super simple, super quick Valentine’s Day ideas! This looks great. What a fun decorating idea. I love how simple this is to make! Awesome job! I love it! Garlands are my go to decorating craft! The glittery hearts are so fun! So cute!! Just pinned it! I LOVE pom poms! !